We are raising £4000 to bring the Manchester Musical Revue's incredible production of The Fear to the Edinburgh Fringe Festival. It's an amazing show and will be a fantastic way to show off the talent and quality of Manchester to the festival! 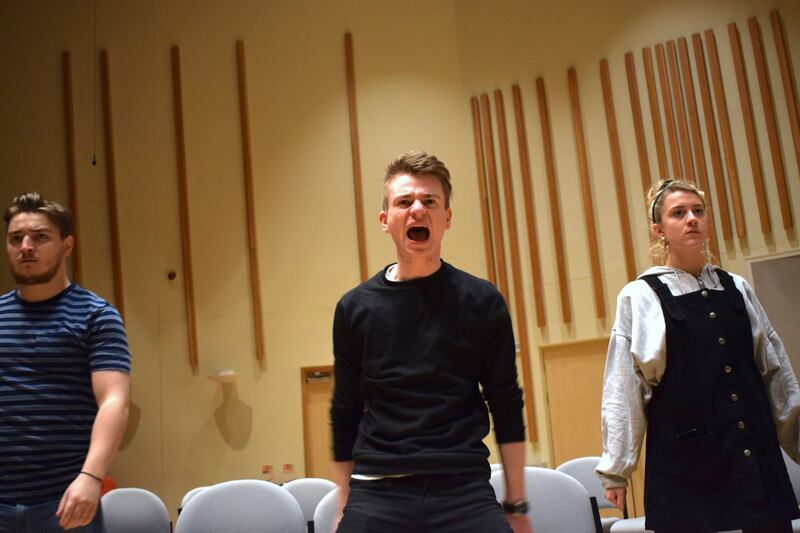 We are Manchester Musical Revue, related to The University of Manchester Musical Theatre Society (UMMTS). We are students with unparalleled passion and flare; ambition beyond belief, and very little money. The Fear follows the lives of students, Ash, Ferg and Sam as they attempt to navigate their way through the ups and downs of their final year of university whilst struggling to cope with deadlines, drink and distractions. 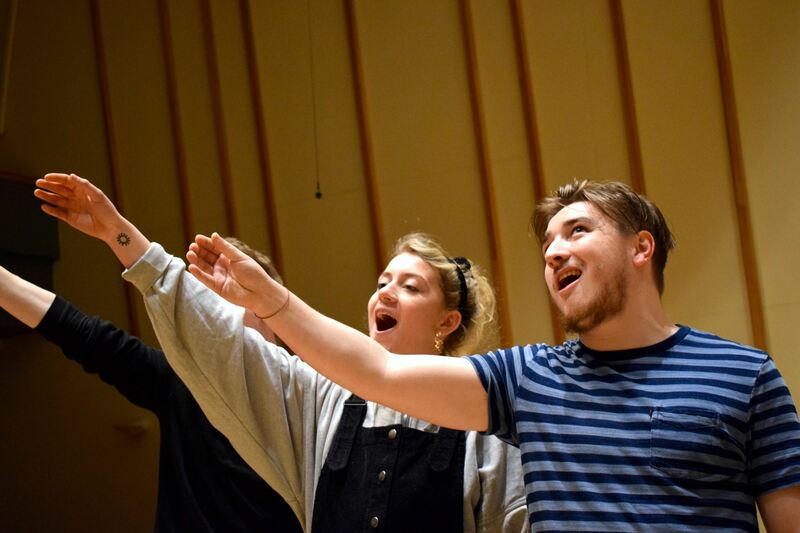 This rip-roaring musical comedy is a nostalgia ride for all those who have been through the university experience, including a live onstage band creating an intimate concert vibe, with songs the audience will be singing long after they have left the theatre. Hold on to your hamsters, embrace the absurd, it's a bumpy ride! WHEN AND Where can you see us? We will be performing at C Aquila studio, Roman Eagle Lodge, Johnston Terrace, EH1 2PW between the 15th to the 27th August! If we hit our minimum, the money will go towards the venue hire for 2 weeks, travel, production, tech and promotion. 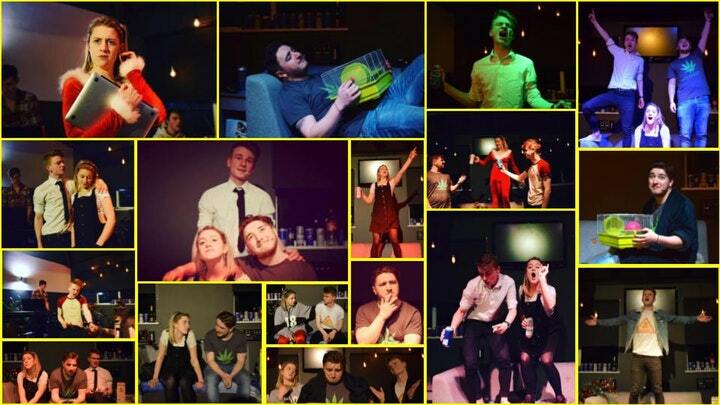 If our project takes off and we raise more than our target, the money will go towards more Manchester Musical Revue productions and more trips to the Fringe. We also need to fund van hire, the set, props and marketing materials like flyers and posters. This musical is absolutely incredible. It has taken a lot of hard work from many people to get it to an incredible standard and we want to share it with the rest of the country. For many of us, this is what we want to do with our lives. We are interested in careers in the arts and theatre, and this project will make a huge difference to our employability. The musical is about the student experience. UMMTS and MMR have had amazing effects on our student lives and is a really great way for students to find themselves, find friends and break down barriers. We hope to be able encourage more and more students to be part of such a wonderful student-run organisation. We have some exciting rewards that will be available when you donate a certain amount of money - see the right hand side of the page for details. You don't need to give money to help us out. We need the whole world and it's cat to know about us, so that we can have a big Edinburgh presence and sell lots of tickets. So please tell your friends and family through all of the mediums: Facebook, Twitter, Snapchat, Megaphone, make them Fear alphabet spaghetti! Arthur Shopen-fiver | Shoutout thank you!